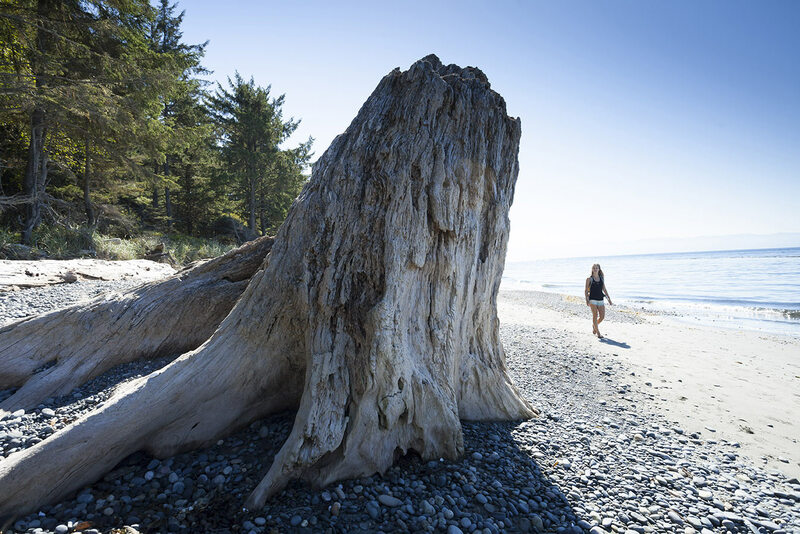 Situated on the scenic Strait of Juan de Fuca on the west coast of southern Vancouver Island, French Beach Provincial Park offers much more than just beautiful hiking trails through lush forests. Situated on the scenic Strait of Juan de Fuca on the west coast of southern Vancouver Island, French Beach Provincial Park offers much more than just beautiful hiking trails through lush forests. A wide swatch of green lawn fronts this sand and pebble beach, where visitors can relax and enjoy a picnic or take a cool dip in the ocean. In addition to offering fabulous views of the Strait of Juan de Fuca and the Olympic Mountains, the 1,600-meter beach at this park is an ideal location for exploring and whale watching. The magnificent Gray whales pass by this park in the spring as they migrate to northern feeding grounds, and return again in the fall. Roaming pods of resident killer whales can also be seen offshore, as well as otters, seals and sea lions. French Beach is also a good spot to observe Bald eagles, ospreys and a variety of seabirds. 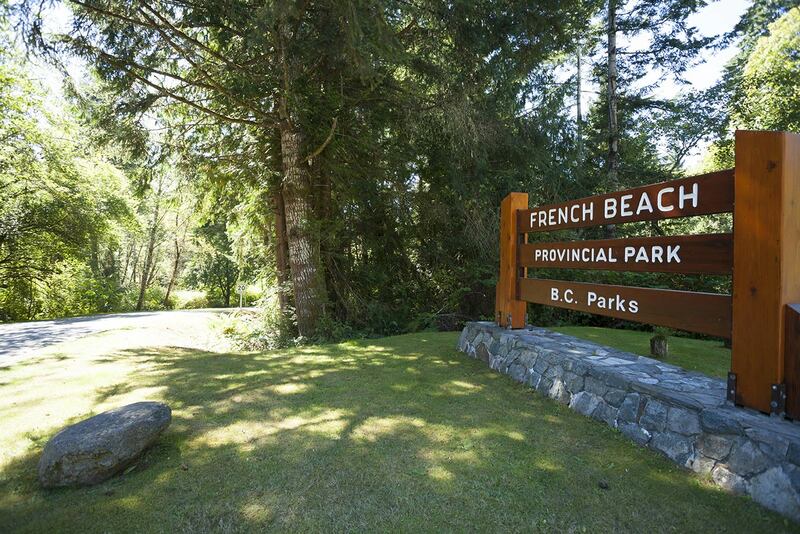 French Beach offers year-round vehicle accessible camping in a beautiful natural setting within minutes walk to the ocean. Facilities include a picnic/day-use area, a sani-station, pit toilets and fresh water. 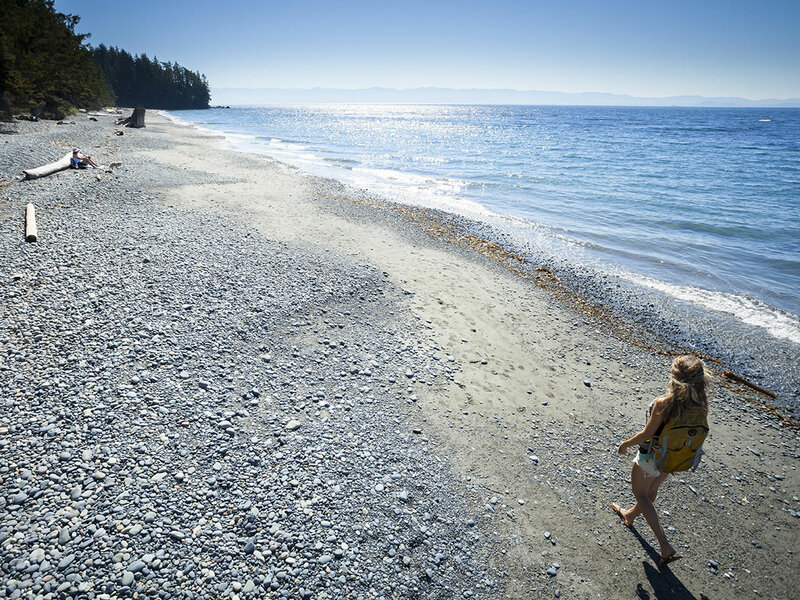 More camping and hiking opportunities are located nearby at Juan de Fuca Provincial Park.